This article will give you 21 tips and tricks to help you to write a bestselling travel article: In the style of a well known travel website which also sells guidebooks. 1. Pick a place that’s easy to get to, but far enough away that normal people can’t actually afford to go there. 2. Take one or two photos that are probably unrepresentative of the place as a whole, particularly if it involves the sea, rugged landscapes, or any view you can only get from a helicopter. 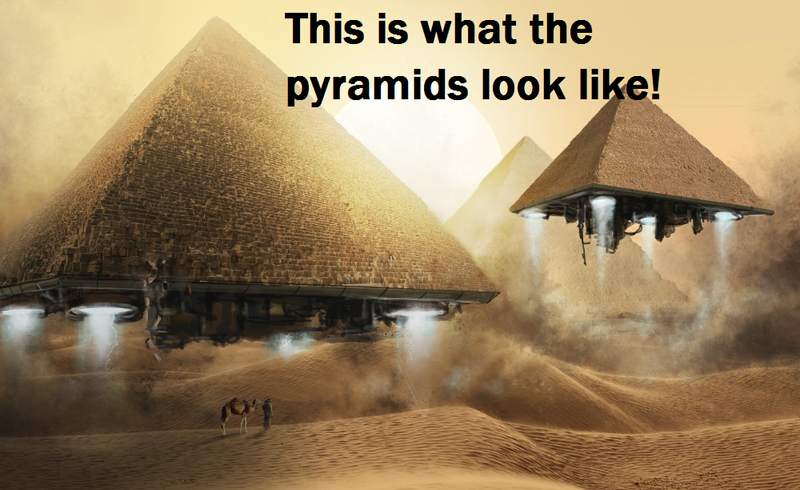 This is exactly what you will see if you go to Egypt. 3. Touch up the picture with Photoshop to enhance the colours, to make it even more unrepresentative of the place, and edit out the unsightly evidence of real life taking place, such as litter, insects or children. Your aim is for travellers to be disappointed when they get there, so they go somewhere else (and buy a new guidebook) next year. 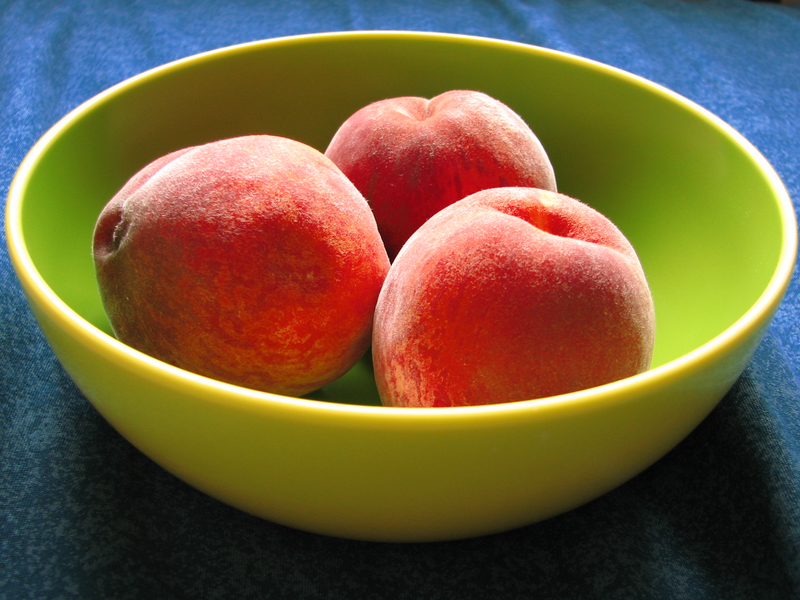 Those peaches have been colour enhanced to make you disappointed if you really see them. Source: Wikipedia. 4. Write a story, embellish the details and make up interactions with semi-stereotypical characters who are always unusually aware of their global context for a farmer/mechanic/factory worker, to really show people an unrepresentative slice of life in the place where they’ll never go (because if they did, they’d find out you made it all up). 5. The opening paragraph – use at least four adjectives per sentence, the whole paragraph must be exactly three sentences long. The first sentence should have no more than 8 words in it. The second sentence can be a little longer. 6. The body of the article: Basically the first paragraph serves to describe the place in its entirety, from here on you will be talking about the history, climate, etc, and never, ever tell people anything useful such as what they could find there, how to get there, what petrol is called, what side of the road to drive on. Instead, you should find the most obscure language in the area and throw around one or two words that don’t mean anything, because it makes people feel like they now know enough lingo to go there. You never know, they might just find that one person who speaks that actual language and talk to them for long enough to use the two words they can now understand. More likely, it’s an insular community who are sick to death of white people, since their only contact with white people is when they turn up, gawk, take pictures of them as if they’re objects, then talk loudly at them and leave. 7. It is probably a place of conflict. Briefly mention the conflict, and don’t hasten to embellish on exactly how this conflict has changed all the people who live here, even if it only happened a few years ago or only happened for two days, or only affected one village that was eight hundred miles away from where you stayed. The only exception to this is if the conflict is ongoing. If the conflict is ongoing, you must mention it in less than one sentence, or even better, don’t mention it at all. They can find out for themselves when they get shot. 9. Do mention pickpockets or begging children, people will then think your article is honest and reflective of the “real” place. 10. Do mention that drugs are illegal. After all, the fact that they’re illegal EVERYWHERE is such a good deterrent that telling people what happens when they get caught abroad will REALLY stop them doing it. Seriously, this is like secret code for “everyone does drugs in this country.” Those are the only countries they ever point out the legality for. 11. Don’t mention any of the potential diseases you can get in the country you’re writing about. Or any of the necessary vaccinations. Who cares if some tourists die of malaria, AIDS, dengue fever or cholera as long as they bought your guidebook before they departed on their trip? 12. Don’t mention the state of the hospitals or other emergency services. People won’t take out travel insurance if they find out it’s utterly useless due to the fact that there aren’t any hospitals within 800 miles. And then you won’t get money from advertisers. 13. Don’t mention whether the destination has decent food for coeliacs, vegans, Muslims or Jews. They don’t need to eat. As a travel writer, you don’t know any of “those people” personally, so clearly they don’t exist. 14. Do talk in great detail about the “traditional dish” or “national dish” (which nobody really eats who lives there) which is usually meat stuffed with meat in meat sauce with meat and/or possibly cheese. 15. Leave out information about electricity. No-one charges their phone when they’re on holiday. 16. Keep pushing those sponsored hire car articles, but don’t tell readers ANYTHING about the various highway laws. Getting tickets abroad and putting the wrong fuel in your car is fun! Hey they could even get their car impounded! 17. Keep talking about budget options, but don’t actually make an effort to include anything that’s truly cheap. Whatever the hell you get paid to write those shoddy articles is too much if you think £80 a night is a budget hotel/hostel. 18. Never mention anything to do with accessibility. People who are disabled, people who have a guide dog to accompany them (or other support animal) and people with kids in pushchairs don’t travel. Only rich able bodied people do that. That’s why there are ramps and lifts and things all round the world. 19. Don’t discuss travel money options. At all. That’s not worth a single word of an article. 20. Don’t mention which religious groups reside in the area or where the local churches are, or what denominations can worship here. People stop believing in religion when they’re on holiday. 21. DO mention architecturally famous places of worship. Particularly if nobody can worship in them any more. Because travellers want to see the stunning results of religious buildings but don’t want to actually thank the people that made it all possible. If you follow this guide, you too can produce financially lucrative, but boring and uninformative travel articles with exaggerated details, that editors will pay to publish. That’s a highly popular way that you can make a living off travel writing – because selling out and selling lies to the Man is everyone’s dream come true right? Haha. Much truth here. I particularly agree with number 5. I’m always glad to be told the style, colour, age, material and angle of a tour guide’s hat. There’s also the tendency to make everything into a league table in the most unscientic way possible – like “the 6 best bars in London” based on a long weekend there. And related to that the implication that there are only 9 possible reasons to go to Hanoi and they apply equally to everyone. Haha. Only just seen this. I imagine, though, that they would only want to do things that were different from what the mass of people did, so instead of just going down to Spar to get a loaf of bread, they’d want to hook up with a gang of shoplifters and go and nick one.